Businesses have three main options available to them when it comes to raising business capital: debt, equity and retained earnings. There are many different factors that go into how owners and CEOs choose from among these options when structuring capital, including the hurdle rate, internal rate of return (IRR), weighted average cost of capital (WACC) and capital asset pricing model (CAPM). The dynamic and uncertain economic and political environment we face today could alter the capital structure equation, though. The kind of tax reform that has been proposed by President Trump, as well as rising interest rates that have been set in motion by the Federal Reserve, could dramatically impact the decisions CFOs make about structuring capital. Specifically, the President’s tax reform plan would slash corporate and personal income tax rates while limiting deductions for interest and other expenses. The cost of capital or WACC reflects the cost of both equity and debt and is often used to evaluate operating and strategic decisions when it comes to capital structure. When these two sources of capital are compared, debt is generally considered to be more risky and less flexible than equity, but also less expensive. Equity, meanwhile, is generally considered to be less risky and more flexible than debt, but also more expensive. Given the Federal Reserve’s plans to continue raising interest rates, along with the possibility of limitations in interest deductibility if President Trump’s tax reform plans are fully implemented, this equation could change and debt could become less attractive in comparison to equity. Depending on your company’s current capital structure, it might be wise to start re-evaluating your structure now in anticipation of these possible developments soon. A primary responsibility of corporate leaders is to create and increase shareholder value. Finance theory holds that if an investment can earn a higher rate of return than WACC, it will create value for shareholders. However, the results of a recent survey conducted by Duke University and CFO Global Business1 and published on CFO.com indicate that many CFOs are not making certain kinds of investments that would grow the business and create value for shareholders. 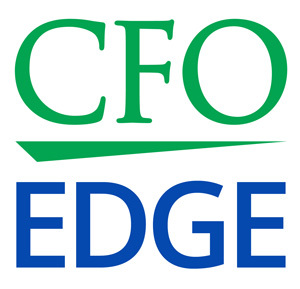 One of the main reasons for this, according to CFO.com, is that many CFOs are using high hurdle rates when deciding how to invest corporate capital — even in the face of falling capital costs. The hurdle rate is the minimum rate of return required to pursue an investment, given the investment’s level of risk. Based on the survey, the median hurdle rate used by U.S. businesses to evaluate projects is 12%, while the mean hurdle rate is 13.6%. However, survey respondents’ median WACC was 9.0%, while the mean WACC was 10.6. In other words, the median and mean hurdle rates used by the U.S. companies exceed their WACC. This means that businesses are passing up projects that could clearly create value for shareholders. This trend has accelerated in recent decades, notes CFO.com, though many CFOs cite legitimate reasons for passing up investment projects, despite low capital costs. For example, one executive noted that while WACC is fairly known, there are lots of different types of risk with investments. Another said his firm adds about 200 basis points to projects to account for incremental project and execution risk. Only about one in five (21 percent) of the survey respondents said their companies pursue all projects whose return is expected to exceed the hurdle rate. About two-thirds of them (67 percent) said their companies do not pursue all such projects. About half (51 percent) cited a shortage of management time as the main reason for not pursuing such projects, while 41 percent said that projects weren’t consistent with their company’s core strategy and 39 percent said the project’s risk was too high. Interestingly, CFOs in some other parts of the world appear to be more willing to take on investment projects in which the projected return is higher than the hurdle rate. For example, 43 percent of CFOs in Europe and 31 percent of CFOs in Latin America say that their companies pursue all projects whose return is expected to exceed the hurdle rate. Only about 19 percent of CFOs in Asia say so, though, which is about the same as in the U.S. Given the economic and political uncertainties noted earlier, it’s somewhat concerning that high hurdle rates are inhibiting so many U.S. finance executives from investing in projects that could add shareholder value. It’s my hope that some of these uncertainties start to clear up soon so more finance executives will be willing to lower their hurdle rates and deploy capital in such a way that pent-up shareholder value can be unlocked. The uncertain economic and political environment we face today — in particular, tax reform and rising interest rates — could alter the basic capital structure equation going forward and dramatically impact the decisions CFOs make about structuring capital. Meanwhile, a new survey indicates that many CFOs are not making certain kinds of investments that would grow the business and create value for shareholders due to high hurdle rates. An outsourced CFO services provider can help you make decisions about capital structure in the current environment, as well as decisions about making investments that could increase shareholder value.